Close enough to the best in class to appeal to the head, but it's the Maserati trident that adorns the grille that makes the heart flutter. It stands out from the luxury crowd. Even just ten years ago, who’d have thought that you’d be able to buy a Maserati SUV? Such is the pervasiveness of the trend nobody can choose to ignore the seismic shift in the market, so when Lamborghini and Rolls-Royce are joining the fun you know there’s a new normal. 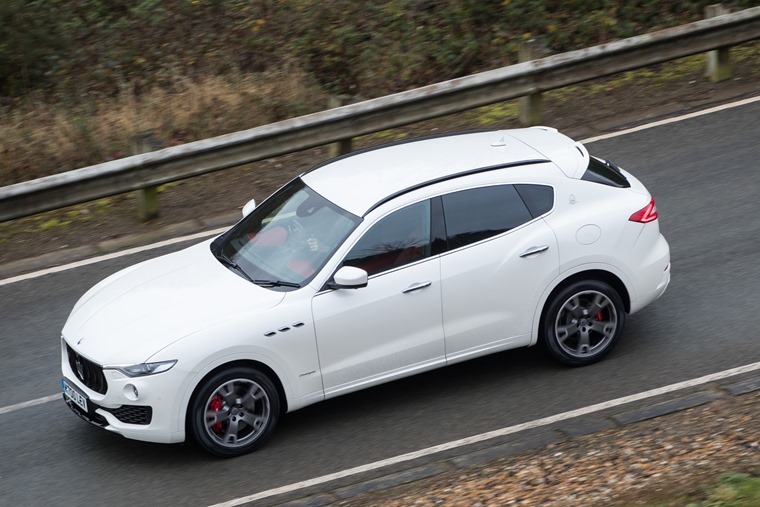 Maserati didn’t necessarily get off to the best start with the Levante, launching it in 2016 with a diesel engine. For a manufacturer built around emotion and performance, that didn’t sit well. Now the Italian marque has taken what has become its best selling car and righted the wrongs. An S has been added to the end of the Levante name, and the 3.0-litre turbocharged diesel engine has been removed and replaced with a Ferrari-developed 3.0-litre twin-turbo petrol unit. That means there’s more power, less weight, stronger performance and frightening fuel economy. Trees pass by in a blur, but you somehow remain isolated from what’s happening outside until suddenly the speedo is showing numbers that would certainly attract the attention of the local constabulary. The Levante S is quick under normal circumstances, but the performance of that 430hp engine is unleashed with a press of the Sport button. This opens up the exhausts and improves responses, making it sound quicker even at a standstill. However, hit the button again and the car squats down 20mm and prepares the ‘Skyhook’ adaptive air suspension for some fun. 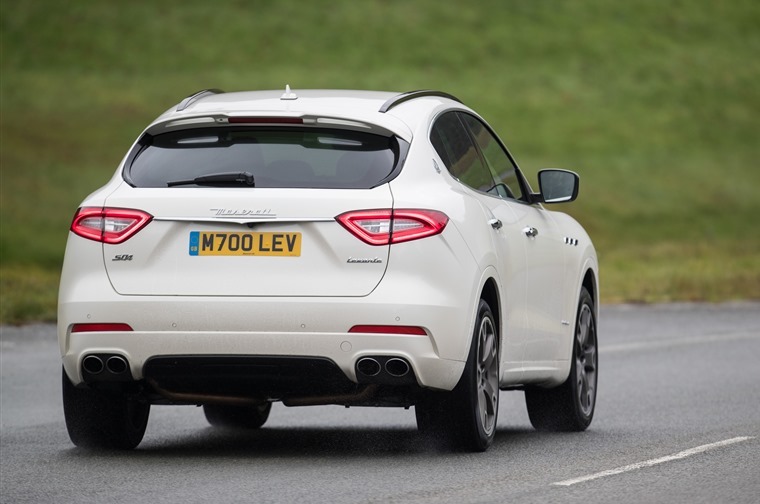 The front end digs in with pleasing amounts of eagerness and the rest of the Levante follows along. It’s taut and accurate, especially in Sport mode, without being so firm that it skips over bumps in the road. Occasionally the body doesn’t quite react as quickly as the suspension, especially on some rougher country roads, but there’s little roll and plenty of grip so it’s easy to keep things planted and drive through an infrequent wobble. Moving off reveals some turbo lag, and the generally excellent eight-speed automatic gearbox needs a bit of time to work things out initially, but once rolling it gathers speed alarmingly quick. Trees pass by in a blur, but you somehow remain isolated from what’s happening outside until suddenly the speedo is showing numbers that would certainly attract the attention of the local constabulary. That’s when the colossal 2.1 tonne mass of the Maserati makes itself felt. The bulk is really apparent when braking, as slowing the behemoth from those speeds for a tight corner takes a heftier prod of the brake pedal than might be wise, but there’s a lot of grip and it sheds speed quickly. The steering is direct and accurate too, although a switch to electrically powered steering has resulted in it lacking any kind of feel. The downside of all this fun is the rather alarming economy. Maserati promise 25.9mpg from the S, although that was always going to be optimistic, so imagine my surprise when I averaged just 11.7mpg during my time with the car. Yes, the overall figure was impacted by some, erm, performance testing, but a lot of the driving was 50-60mph country roads with 30mph villages interrupting the flow regularly. Even when cruising along, the instant mpg readout on the dashboard was still showing numbers in the teens. Perhaps the diesel might be a better bet after all with its lower cost and near-40mpg promises. A sumptuous interior … every inch of the cabin is covered in leather, wood, or optional carbon fibre. Both models come with a sumptuous interior, accessed via frameless doors with a soft-close motor. 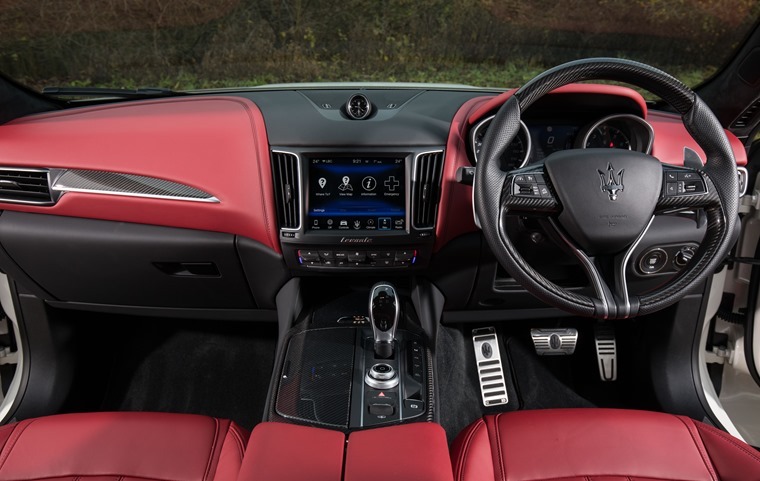 Every inch of the cabin is covered in red leather, wood, or optional carbon fibre. The seats are comfortable and supportive with enough room to get comfortable. Well, mostly; a huge transmission tunnel and offset driving position means your feet are pushed well to the right, your left foot almost central underneath the steering wheel. In the back there’s enough head and shoulder room, although legroom is a tad tighter than you might want. It all look wonderful, but delve deeper and the quality lacks the millimetre perfect finish you would expect to find in an Audi Q7 or Volvo XC90. That said, stay focussed on what’s directly in front of you and there’s little to complain about. It’s the history of the marque, the very Italianness of the brand and the trident that adorns the grille, that really makes the difference. Yes, there’s a BIK rate of 37% and therefore big tax bills to pay for company car drivers, while both business and private choosers will be faced with steep depreciation that will hurt leasing costs, especially when compared against rivals from Porsche, Land Rover or even Audi. But then the Porsche, Audi and Range Rover drivers won’t have a Maserati. And that’s the important thing about the Levante. 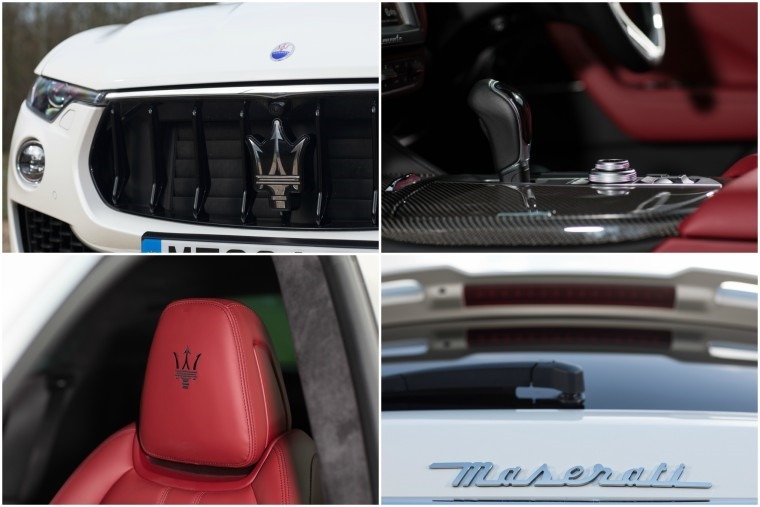 As long as it’s close enough to the best in class to appeal to the head, the Maserati badge alone can make the heart push the decision the Italian way. The Porsche Cayenne might be a more engaging vehicle to drive, and there’s no doubt that the performance offered by the German cars provides a bigger kick in the back. Likewise, there’s no doubt that the Range Rover Sport offers a more luxurious package. 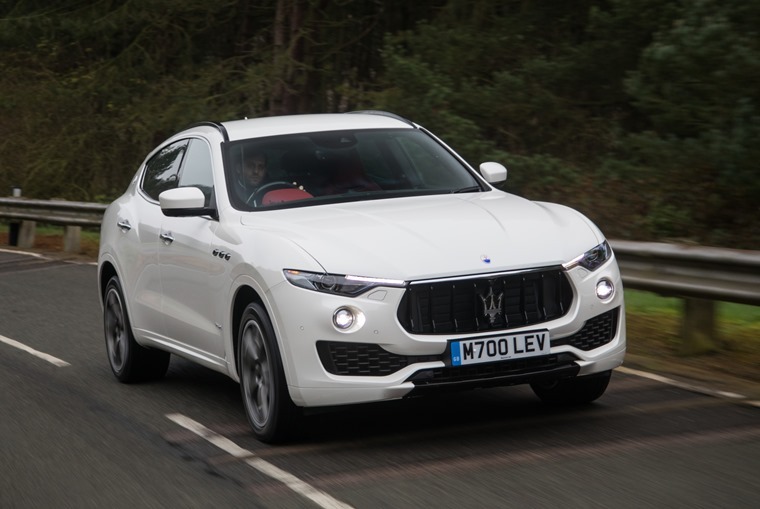 The Levante is close enough in all areas to be a consideration, but it’s the history of the marque, the very Italianness of the brand and the trident that adorns the grille, that really makes the difference. *Average lease prices calculated using ContractHireAndLeasing.com data (based on 6+35, 10k profile) and correct at time of writing.